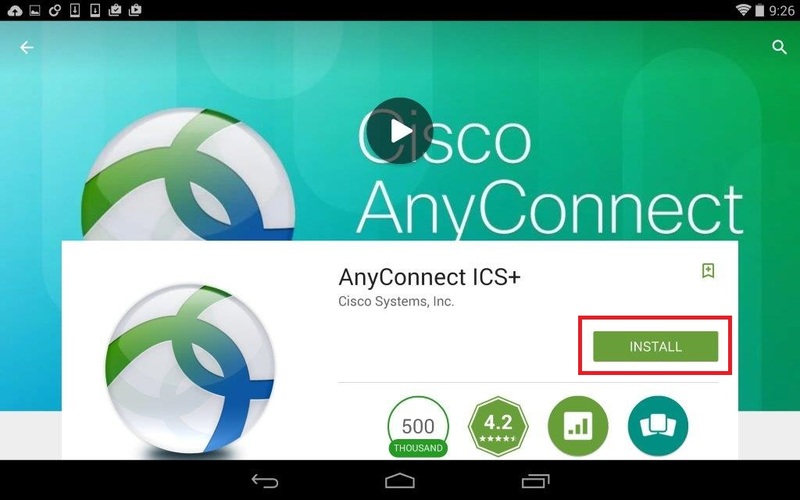 Follow these instructions to install and configure the Cisco AnyConnect app for your Android device (v4.0 and higher). 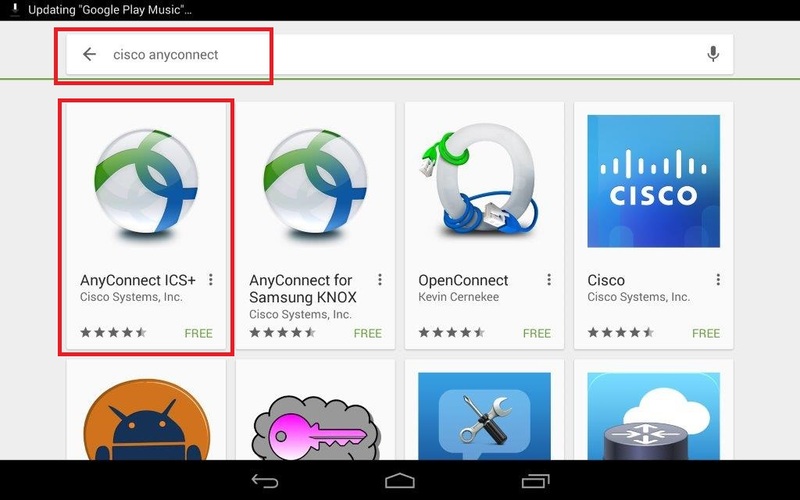 Go to the Google Play Store and search for Cisco Anyconnect. 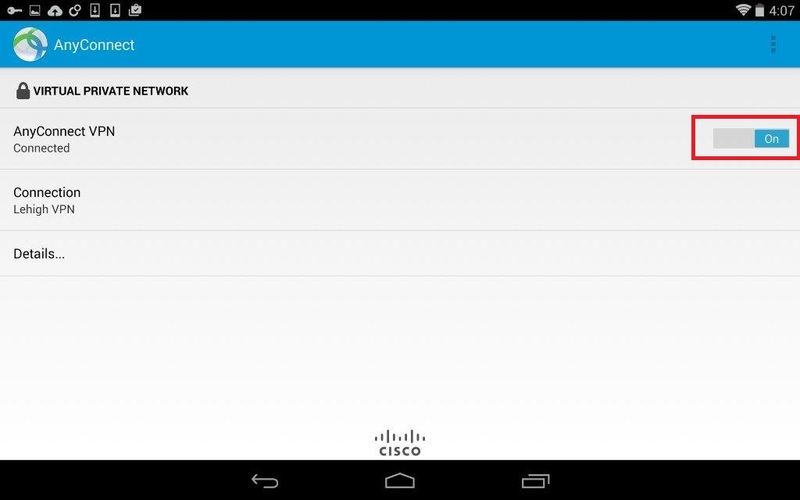 AnyConnect ICS+ should be the first result. Tap it to start installation. You may be asked here to complete your store Account information. 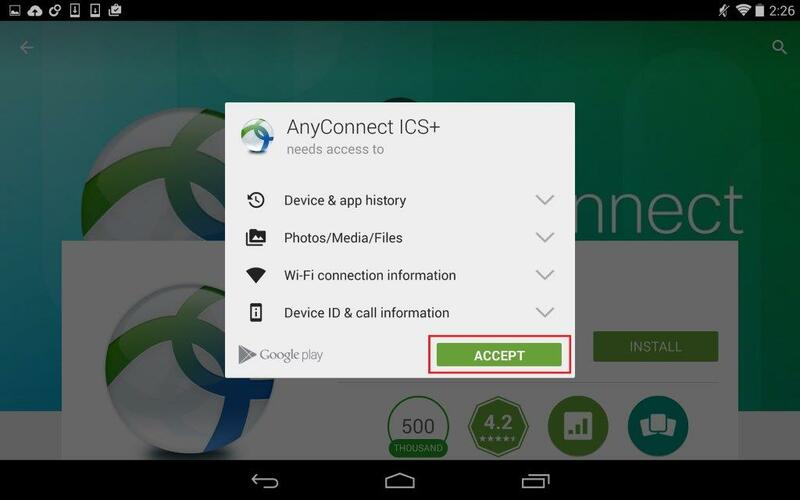 If prompted, tap Accept to give AnyConnect permission to access other apps. The app will begin to install. When it's finished, tap Open. 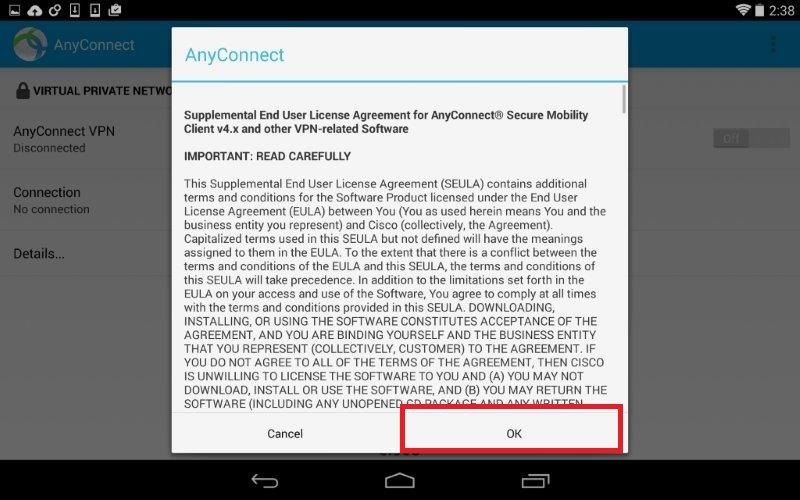 Click OK at the Supplemental End User License Agreement. 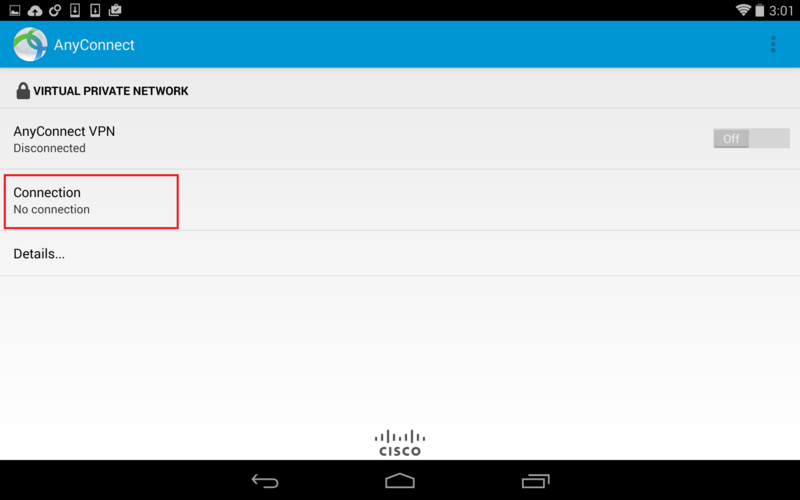 Tap Add New VPN Connection. 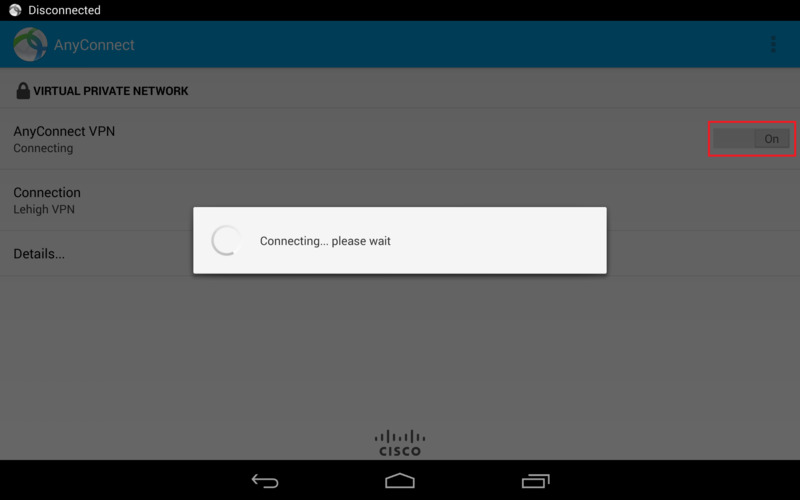 In the Description field, enter Lehigh VPN, then tap OK. 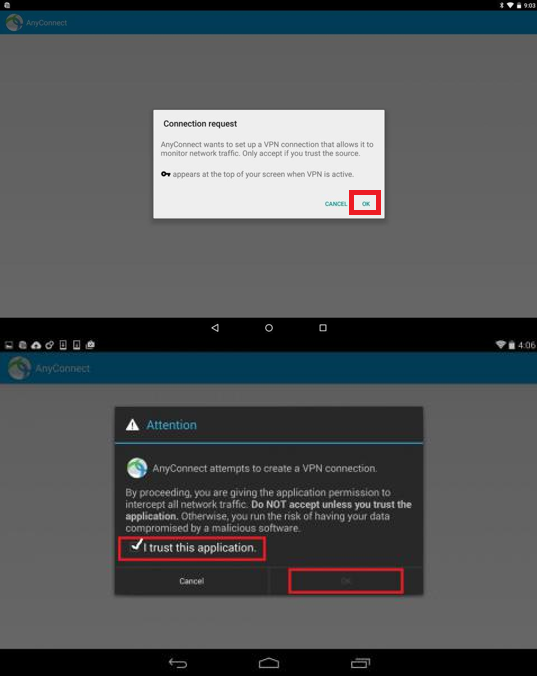 In the Server Address field, enter vpn.lehigh.edu, then tap OK.
To make the VPN connection, tap Lehigh VPN, then tap AnyConnect VPN to the ON position. 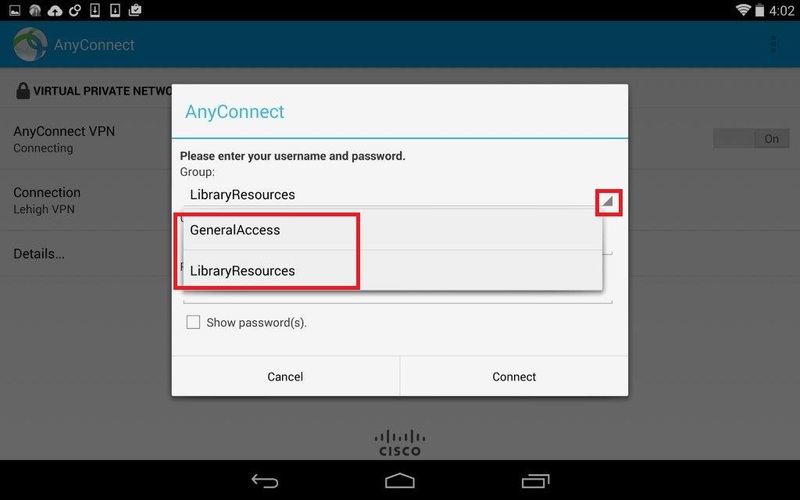 Choose a Group type, either GeneralAccess or LibraryResources, depending on the type of access you need. 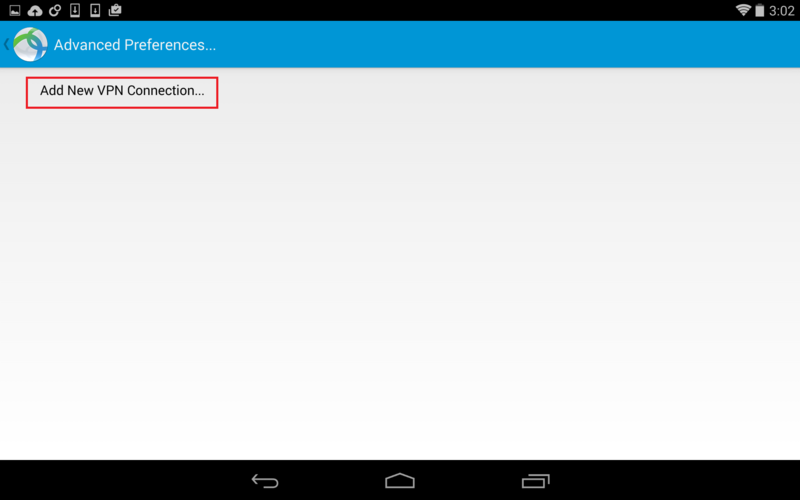 See Selecting an Access Method for an explanation of the two types. 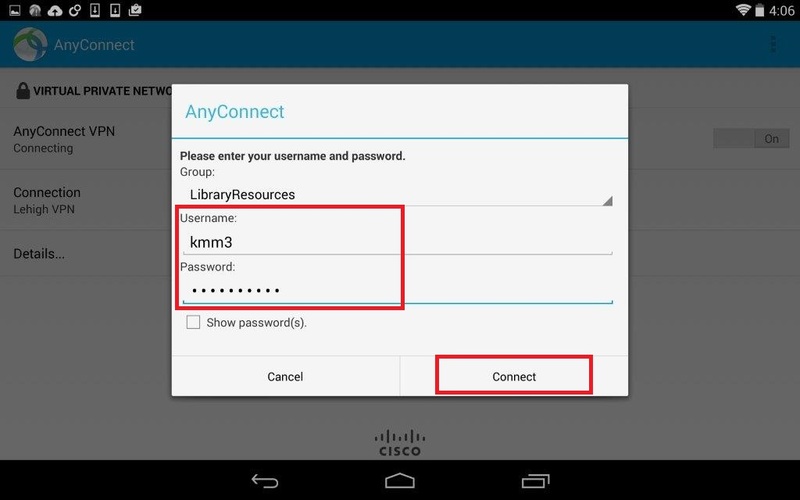 Enter your Username and password, tap Done, then tap Connect. At either of these two possible prompts, respond accordingly. Tap OK at the Connection request. 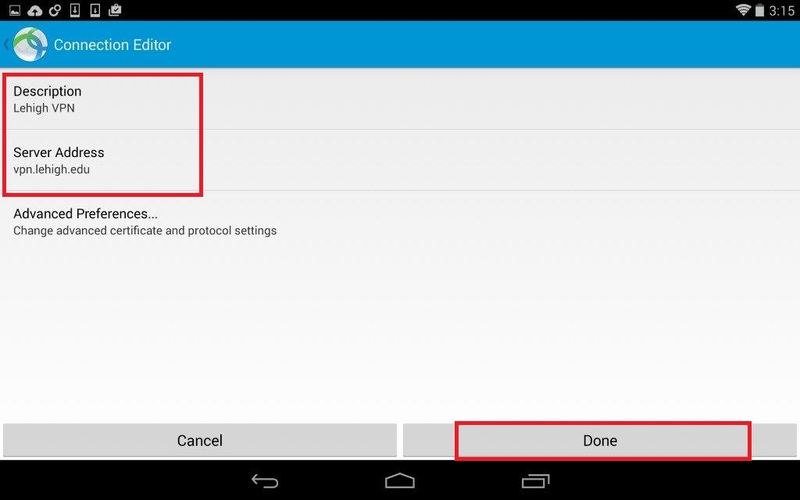 Or, if you receive the second prompt, check the box I trust this application, then tap OK.
To disconnect, slide the connection indicator to the OFF position.